For me, there’s nothing like lemon to take things up a notch. I love the tart flavor of freshly squeezed lemon juice in just about anything, and if you’ve never tried a sprinkle of lemon zest over some chicken or in a cake, you’ll want to get on that right away! And when I’m squeezing or zesting that lemon, there’s nothing like that bright scent to perk me up, even at the end of a long, tiring day. Squeeze the juice of half a lemon, and add the peel, into to a small bowl that’s half-filled with water. Microwave for 4 minutes and wipe clean. Put some lemon peels on a dish and keep in the fridge to keep it smelling fresh. Yup- it’s true! Dab some lemon juice on a zit to help it heal faster. The acid in the lemon will keep cut apples white for longer. Rub a cut lemon on chrome surfaces to remove hard water stains. Get rid of odors like garlic, fish, and onion by rubbing your hands with some lemon juice. Then wash with soap and water. You know those yellow armpit stains that ruin your shirts? Mix lemon juice with water and rub to remove them. Then wash as usual. You know you should drink water throughout the day, but plain water can get boring. 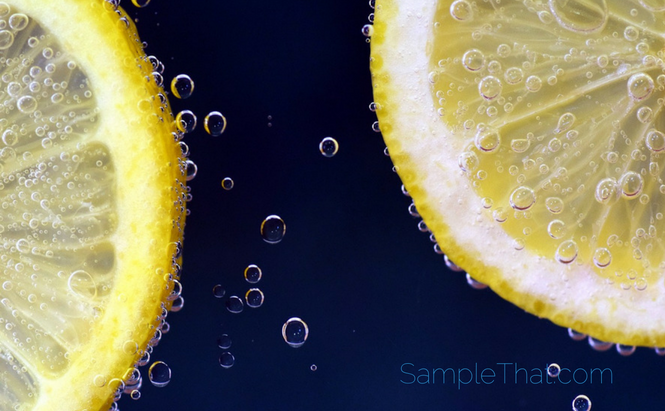 Add some lemon slices to your water for some fresh flavor and stay hydrated.